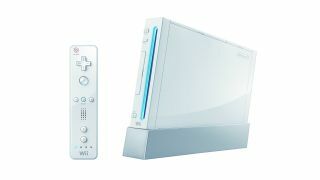 The Nintendo Wii looks set to lose access to a host of third-party streaming services in the new year. According to this post on Reddit, Nintendo will be suspending "all video streaming services on Wii", meaning that the Youtube, Hulu, Crunchyroll, and Amazon Prime Video will also be disappearing from the 2006 console. That's just the Wii, mind you - your newer Wii U console won't be affected by the changes. In what could be a hint to Netflix coming to the Nintendo Switch - or possibly some shade at Nintendo's infamously low-spec gaming hardware - the email also read: "We hope you’ll soon enjoy an even better Netflix experience with additional features on a supported device." As legacy Wii owners mourn the loss of their Netflix and streaming service apps, however, we find that Youtube has finally landed on the Nintendo Switch - bringing the console's meagre number of streaming service apps up to... two. Nintendo's strategy for the Switch seems to be gaming-led, though with Youtube and Hulu both on the console, we fully expect to see the likes of Netflix at some point - and possibly even Disney's incoming streaming service, which was recently announced as Disney+.